Bhopal, March 6, 2012 (Ataullah Fa izan): Cooperative Minister Mr. Gaurishankar Bisen has said that special attention is being paid to quality of education in the state. He also urged people’s representatives to cooperate in the spread of education. Cooperative Minister Mr. Bisen was addressing a bhumi poojan function of higher secondary school building to be built at a cost of Rs. 76 lakh at village Rajegaon in Balaghat district the other day. 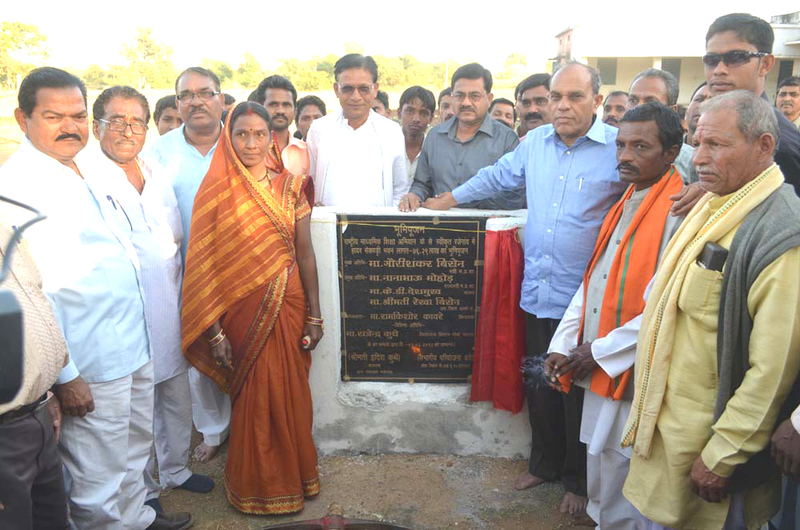 Mr. Bisen also dedicated the building of Ayurvedic dispensary. Member of Parliament Mr. K.D. Deshmukh was also present on the occasion. Mr. Bisen said that the promises for development made by the State Government have been fulfilled with full sincerity. The work of high-level bridge over Bagh River has begun. He also sanctioned digging of 9 hand-pumps in Rajegaon and nearby villages.